The Son Brull Hotel & Spa is a traditional Majorcan hotel which allows you to immerse yourself in the culture and heritage of the island. It’s perfect for couples, with 5-star amenities and personalised service throughout the 18th Century monastery. Spend your days by the swimming pool and immerse yourself in delicious international cuisine. Salads, pastas, and more are created using ingredients from the hotel’s gardens while there are plenty of cocktails and wines to enjoy. The rooms are uniquely decorated to reflect the hotel’s fascinating past, with rustic details and modern amenities throughout. Activities include helicopter rides over the beautiful island and yoga classes. Head to the beach for watersports including sailing and scuba diving, or simply hike and cycle through the surrounding countryside. From 01 July 2018, children under 14 years will not be able to use or be at the swimming pool, spa, and gym, therefore we recommend booking a Villa Suite that has its own private pool. This hotel only accepts children under 12 years old on a request basis. 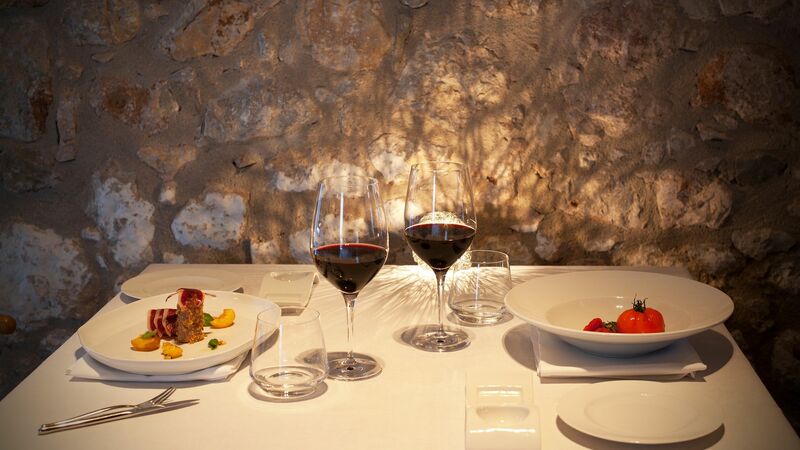 Experience the heritage of Majorca’s cuisine in this cosy restaurant or on the al fresco terrace. The menu includes local and international wines, as well as red prawn, lamb and sea bream. Enjoy fresh local produce, including freshly picked salads from the hotel gardens, traditional paella and freshly caught fish from the Mediterranean. Dine in the shady terrace in the summer or around the fire in winter. Cocktails, tapas and snacks are served throughout the day and include deep fried squid, gyozas, crab sandwiches, beef burgers and cakes for dessert. The large freshwater swimming pool is surrounded by loungers and a sun terrace. Choose from facilities and treatments and unwind in the tranquil hotel spa. There’s also a thermal circuit, sauna, steam bath and a solarium to try. Personal trainers will design a personalised plan to help you get in shape and improve your fitness levels. 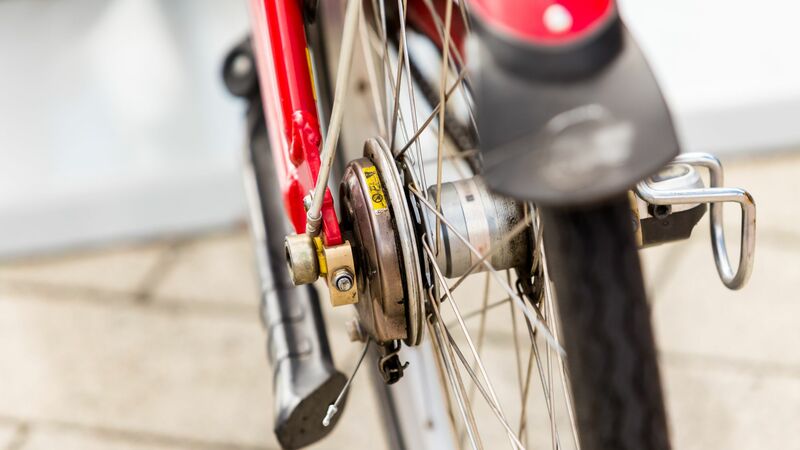 Explore the surrounding area with walking and cycling excursions available from the Son Brull Hotel & Spa. There’s also tennis and yoga. 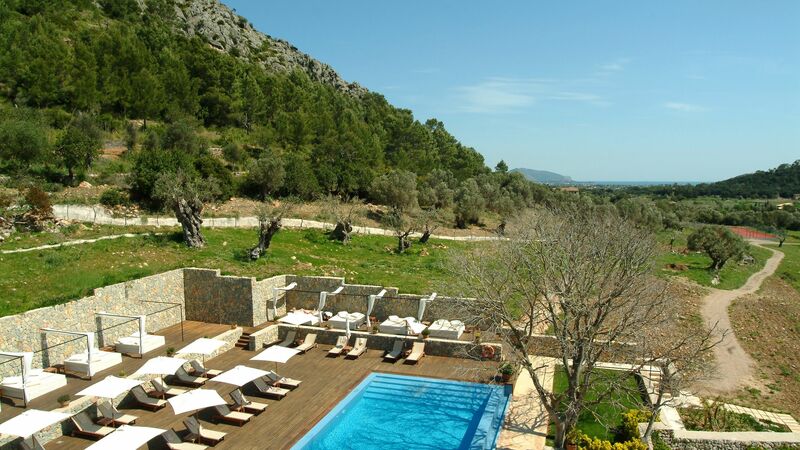 Found along the outskirts of Pollensa, Son Brull Hotel and Spa is surrounded by the luscious hills of Majorca’s interior landscapes. Close to the hotel you’ll find plenty of activities to enjoy. Pollensa Golf Course is a five minute drive away and offers striking views of the sea and mountains, with a nine hole course. 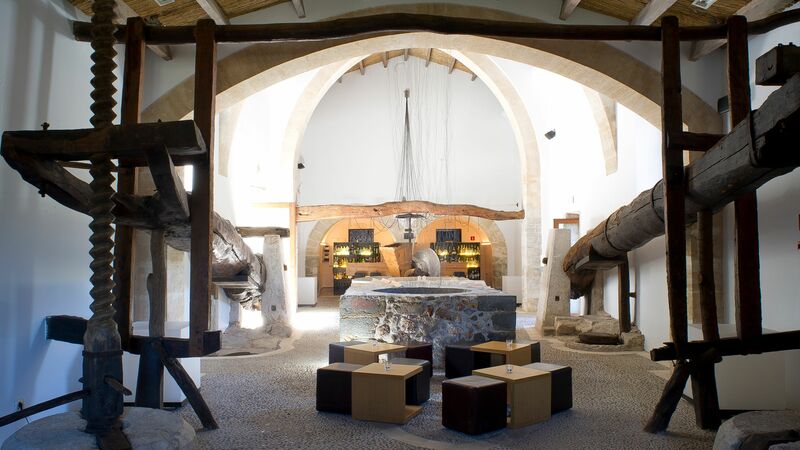 History lovers will find Santuari del Puig de Maria within easy driving distance. Hike up the mountain to this beautiful old stone building, where you can take in some amazing views over some of the area’s best paella. The town of Pollensa itself is home to winding cobbled streets leading to pretty squares and a market on Sunday. 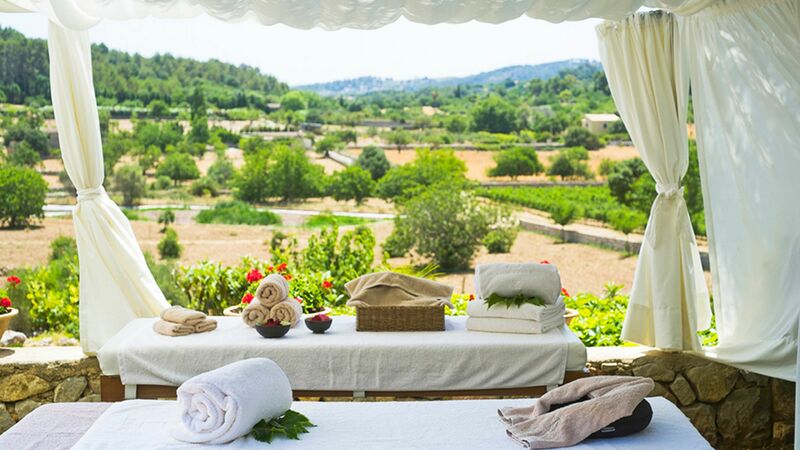 Son Brull Hotel and Spa is a 40 minute drive from Palma de Mallorca Airport. Superior Double Rooms are light and airy, featuring a king size bed, hydromassage bath, bathrobes and slippers, separate shower, air conditioning, Bang & Olufsen TV, hairdryer, safe, telephone, espresso machine and complimentary WiFi. Deluxe Double Rooms have a king size bed, hydromassage bath, bathrobes and slippers, separate shower, air conditioning, Bang & Olufsen TV, hairdryer, safe, telephone, espresso machine and complimentary WiFi. Deluxe double rooms are light, airy more spacious and in a prime location. Please be advised that there are only two rooms with twin beds which can be requested at the time of booking. Deluxe Rooms with Terrace have a king size bed, hydromassage bath, bathrobes and slippers, separate shower, air conditioning, Bang & Olufsen TV, hairdryer, safe, telephone, espresso machine and complimentary WiFi and a private terrace. Junior Suites have a king size bed, hydromassage bath, bathrobes and slippers, separate shower, air conditioning, Bang & Olufsen TV, hairdryer, safe, telephone, espresso machine and complimentary WiFi. Junior Suites with Terrace have a king size bed, hydromassage bath, bathrobes and slippers, separate shower, air conditioning, Bang & Olufsen TV, hairdryer, safe, telephone, espresso machine and complimentary WiFi. Junior suite terrace rooms are larger, have superb views over the Mediterranean, free standing Jacuzzi® and whirlpool for two on the huge roof terrace. Villa Suites are very spacious measuring approximately 100m² and feature two bedrooms as well as a private heated pool (10m²). Save up to 10% on the hotel price when booked at least 90 days in advance for holidays between 23 March - 30 November 2019. Stay 5 nights and pay for 4 nights for holidays between 23 March - 11 April & 01 - 30 November 2019. Sovereign guests will receive a bottle of Cava and a fruit basket for holidays between 23 March - 30 November 2019. Son Brull is spectacular. a beautiful place, amazing environment, great rooms, very interesting architecture and design. the staff could not have been better. Food was also superb. an absolute gem, highly recommended! “ An oasis of calm. This stylishly converted 17th century Jesuit monastery sits four square on a hillside overlooking its extensive vineyards (they make a very good Rose). There are about twenty rooms in the main building plus two (soon to be four) separate casitas with two bedrooms each and, in a small courtyard, a tiny plunge pool. The hotel's main infinity pool is heated - very unusual in Mallorca - to 24 degrees Centigrade. The main restaurant, 365, offers both tasting menus and a la carte dining. To be brutally honest, the cuisine here, while interesting and tasty enough, is not of the very highest quality. Food in the Bistro is fine although the menu is short on variety. 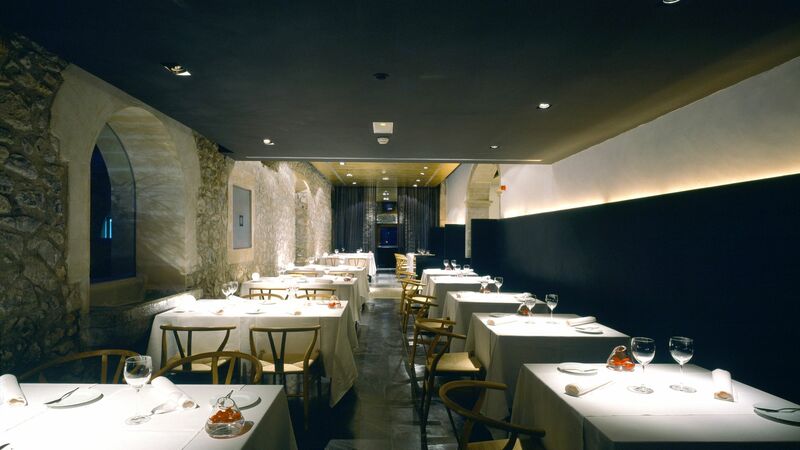 The bar is located in the original oil press - a wonderful, spectacular room in which to enjoy an aperitif. But the very best aspect of this hotel is the staff, every one of whom is charming and friendly and goes the extra mile with enthusiasm. And it's a nice touch to have a bowl of fresh strawberries placed in one's room each morning. It is a wonderful place, like heaven on earth!! I had the pleasure to spend a whole day in the hotel and spa to just relax. I started the day with yoga, sauna, steam bath, lunch and massage. I truly recommend this amazing experience! We recently stayed at the hotel to celebrate our wedding anniversary. The hotel is situated in beautiful surroundings. Staff were all very pleasant and welcoming. The weather was mixed so we spent most of the afternoon in the spa which was very relaxing and then ventured out onto the spacious pool deck area. Dinner in the restaurant was excellent and a helpful explanation of some of the local ingredients was given. Likewise breakfast was also delicious with a good variety of choices. A very relaxing stay in a beautiful and tranquil location. We hope to return again in the future! The most amazing dinner at a beautiful hotel. Every tastes was melt in your mouth from the exquisite olive oil and bread, warm salad, lamb, risotto, heavenly chocolate and nougat desert. A best ever dining experience.